EmpowerLA requires Board members to take Ethics and Funding Training for board members to be able to vote on finance related matters. If you have completed the training, you're through the hardest part. First, provide the Ethics certificate and Funding training details to the SVANC Secretary so it can be recorded locally (email to secretary@svanc.com). Then do EmpowerLA's online registration and affirmation, and that's it. Be sure to watch your email for confirmation in the days to come, and note the date/s you completed the training if you need to resubmit your registration for some reason. -The fields can be confusing because the labels are under the fields. -Public Email: Just like it indicates, this is public information and WILL be published. We highly recommend NOT using your regular email address. You can create an alternate address with an email provider (gmail, etc.) 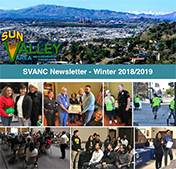 for SVANC business, or once you are seated on the board, you will receive an official SVANC email address which can be used here, but enter that only if your svanc.com address has been confirmed. -Neighborhood Council: choose "Sun Valley Area" from the dropdown menu. -Board Seat: Enter the category in which you ran or were appointed (Residential / Business / At-Large / Community Interest / Youth / Senior). -Date Assumed Office: If you were elected in a citywide election, put the day the election was certified (5 days after the election was held). If board appointed, put the date of that appointment. -Are you an alternate for this seat? : If you were elected or appointed, put NO. If you ran in a a citywide election or board appointment process but were not elected/appointed, put YES. -Are you an executive officer? : For those newly elected, put NO. -Please indicate if you are on another Neighborhood Council: If you answer affirmatively, you will be directed to Part 3 and asked these questions again for the second, etc., neighborhood council you are on. -After the declaration, specify which version of the Funding training you have completed. For most board members, this will be the "20 Minute Intro Workshop" (meaning the 30 minute training). For potential Treasurers and secondary signatories, it will be the "Full Workshop" (the 60 minute version). Either version qualifies a board member to vote on financial matters. -I have completed the Ethics and Open Government Training within the last two years:If have done the Funding Training first, without completing the Ethics Training, answer NO. If you have completed the Ethics Training, answer YES and specify the date of the training. If you have already completed Ethics Training elsewhere within the last two years and it's not close to its expiration, answer YES and specify the date of that training. You will be asked later to provide a copy of the completion certificate. See the Ethics Training page for more information. 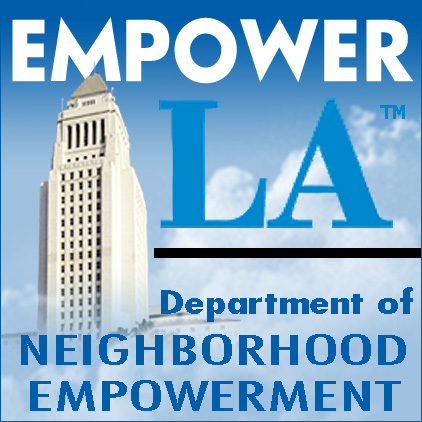 Click HERE to go to EmpowerLA to do the Online Ethics and/or Funding Registration.